The I LOVE YOU VIRUS And Its Creator: Where is He Now? Society Technology The I LOVE YOU VIRUS And Its Creator: Where is He Now? Onel De Guzman did something that shocked the whole world in the first year of the new millennium. 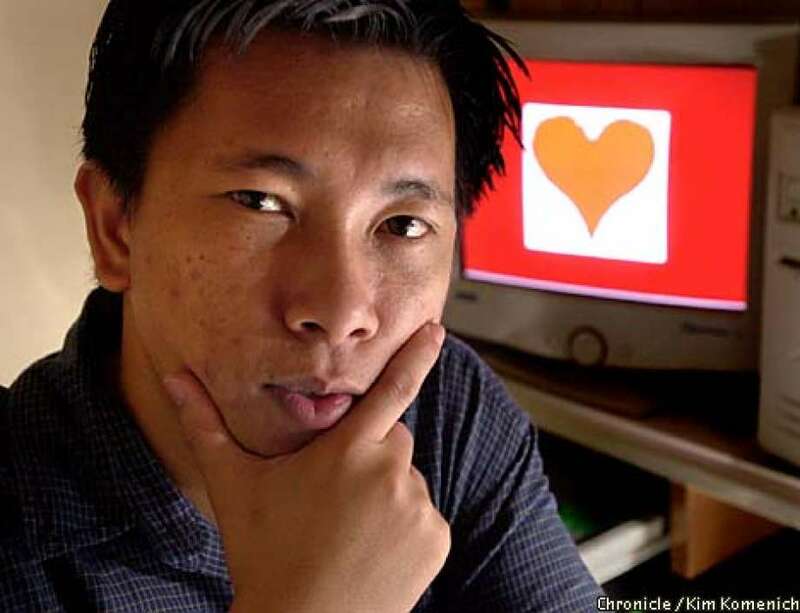 Onel De Guzman along with his partner Michael Buen released the most destructive computer virus to date, the ILOVEYOU virus. The virus is so destructive that it even Pentagon forced to close its servers. More than $10 billion dollars are wiped off the global market in the day when the virus wreaked havoc. On the day when the ILOVEYOU Virus is unleashed on the World Wide Web, there was a worldwide manhunt for the person responsible. Onel left a clue that led him to his arrest, that's his college thesis for AMA that describes a Trojan Horse that would make Internet use cheaper. Dial-ups have the notorious reputation of being slow and expensive, hence not accessible for everyone, except for corporate and government offices. 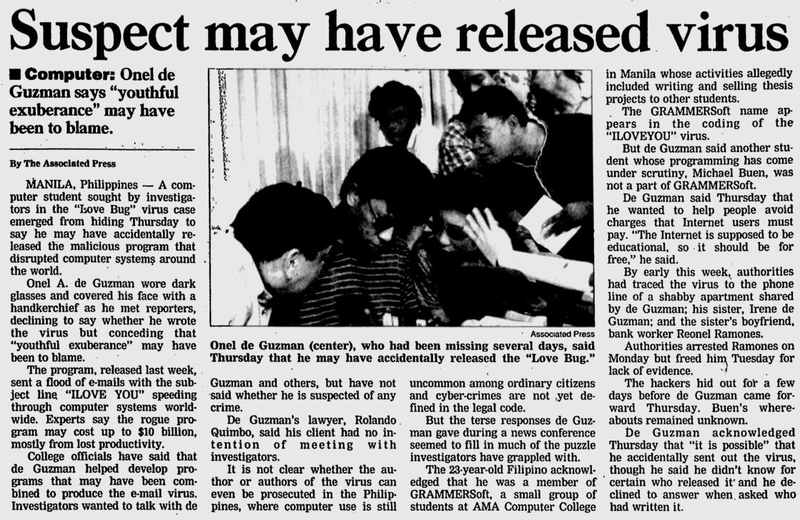 Onel De Guzman was caught and wasn't imprisoned, because at that time cybersecurity laws are practically nonexistent and a credit card fraud charge was dropped later on. He was not imprisoned and there is a minimal information about his present job or whereabouts. It was a common urban myth that CIA,NSA, or Pentagon hired him, some speculate that he is a business man now running a cellphone repair shop in Pasay.